Marion Asnes - Impact Communications, Inc. Prior to founding Idea Refinery, Asnes was Managing Director, Chief Marketing Officer of Envestnet, Inc., an asset management and financial technology firm headquartered in Chicago. Prior to joining Envestnet, Asnes was Editor in Chief of Financial Planning magazine, the leading professional magazine for independent financial advisors, with a circulation of 115,000. Asnes was the first female Editor in Chief of Financial Planning since its founding in 1970. While serving as Editor in Chief, she also participated in the relaunch of the magazine website, co-founded the Women Advisors Forum, inaugurated a series of podcasts on emerging financial issues and developed a series of conferences with the National Football League Players Association. 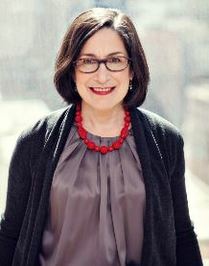 Before joining Financial Planning, Asnes was a Senior Editor at Money magazine, participating in the magazine’s coverage of personal finance, retirement, investing and health care issues. While at Money, Asnes appeared as an expert on financial and economic topics on national television including CNN, CNN Headline News, NBC’s Today, ABC’s 20/20, PBS’s NewsHour with Jim Lehrer and Fox News’ The O’Reilly Factor. Her areas of expertise included retirement and 401(k) planning, asset allocation, estate planning, and the particular financial challenges faced by women. In addition to her regular editorial duties at Money, Asnes co-edited Money for Women, an annual special issue that was featured exclusively on NBC’s Today. Over the years, Asnes has contributed to a long list of national publications including Vogue, Self, More, Elle, Working Woman and Lear’s. She has spoken at conferences and symposia ranging from the Financial Planning Association’s National Advisor Conference to the National Football League’s Rookie Symposium, and was on the faculty of the Woodhull Institute for Ethical Leadership. Asnes is a Founding Board Member of the Institute for the Fiduciary Standard, and was on the Planning Committee for the Financial Planning Association’s Retreat, an annual conference that focuses on emerging issues and techniques for financial planners, in 2011 and 2012. Asnes holds a B.A. from Cornell University. She lives in Irvington, N.Y.